In the mid 1800s, scientists recover and perfect Victor Frankenstein’s secrets of reanimation, with disastrous consequences. The Emperor Napoleon is brought back to life and unleashes his resurrected armies on Europe. Rival factions battle for control amid the war-torn ruins. 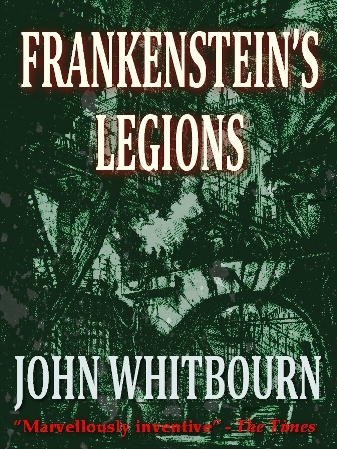 This epic steampunk horror novel by John Whitbourn follows the fortunes (and otherwise) of Julius Frankenstein, nephew of the infamous baron, and Ada Lovelace, pioneer computer programmer, as they evade assassins, spies and resurrected soldiers in their quest to solve a murder — Ada’s.